This airticle is aboot the caipital ceety o Greece. 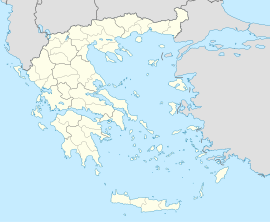 For ither uises, see Athens (disambiguation). Frae upper left: the Acropolis, the Hellenic Parliament, the Zappeion, the Acropolis Museum, Monastiraki Square, Athens view towards the sea. Athens (/ˈæθᵻnz/; Greek: Αθήνα, Athína, [aˈθina]; Auncient Greek: Ἀθῆναι, Athēnai) is the caipital an lairgest ceety o Greece. Athens dominates the Attica region an is ane o the warld's auldest ceeties, wi its recordit history spannin aroond 3,400 years. Classical Athens, as a landlockit location wis a pouerful ceety-state that emergit in conjunction wi the seagoin development o the port o Piraeus. A centre for the airts, learnin an filosofie, hame o Plato's Academy an Aristotle's Lyceum, it is widely referred tae as the cradle o Wastren ceevilization an the birthplace o democracy, lairgely due tae the impact o its cultural an poleetical achievements durin the 5t an 4t centuries BC in later centuries on the rest o the then kent European continent. The day a cosmopolitan metropolis, modren Athens is central tae economic, feenancial, industrial, poleetical an cultural life in Greece. In 2008, Athens wis rankit the warld's 32nt richest ceety bi purchasin pouer an the 25t maist expensive in a UBS study. The ceety is namit in honour o Athena. Lang syne, Athens wis a feckfu ceity. It wis kent for the feck o learnin that happened thare, an wis hame tae Plato's Academy an Aristotle's Lyceum. It haed its ain Constitution an aw. The Ottoman Turks teuk ower Athens in 1458. The Turks made the Parthenon intae a Muslim mosque. The Parthenon wis later skaithed in 1687 whan gunpouder explodit ben the biggin. Athens wis freed fae the Turks durin the Greek war o unthirldom (1821-33). It syne becam the caipital o Greece. Athens became the caipital o Greece in 1834, follaein Nafplio, which wis the proveesional caipital frae 1829. In addeetion, the municipality o Athens is the caipital o the Attica region. Athens can refer aither tae the municipality o Athens or tae the entire Athens Urban aurie, which maks up the "Ceety o Athens" that sprawls athort the Attica Basin. The Athens Metropolitan Aurie, sprawlin ower 2,928.717 km2 (1,131 sq mi), is locatit athin the 3,808 km2 (1,470 sq mi) Attica region. The region encompasses the maist populatit region o Greece, reachin 3,827,624 indwallers in 2011, while it is housomeivver, ane o the smawest regions in the kintra. The Attica region itsel is split intae aicht regional units, oot o which the first fower form Greater Athens, while the regional unit o Piraeus forms Greater Piraeus. Thegither thay mak up the contiguous biggit up urban aurie o the Greek caipital, spanning ower 412 km2 (159 sq mi). Till 2010, the first fower regional units abuin made up the abolisht Athens Prefectur (wha is referred tae as Greater Athens) an aw, which wis the maist populous o the Prefecturs o Greece at the time, accoontin for 2,640,701 fowk (in 2011), athin a aurie o 361 km2 (139 sq mi). The municipality o Athens is the maist populous in Greece, wi a population o 664,046 fowk (in 2011) an a aurie o 39 km2 (15 sq mi), formin the core o the Athens Urban Aurie athin the Attica Basin. The current mayor o Athens is Giorgos Kaminis. The municipality is dividit intae seiven municipal destricts which are mainly uised for admeenistrative purposes. For Athenians the maist popular wey o dividin the ceety proper is throu its neebourheids sic as Pagkrati, Ambelokipi, Exarcheia, Patissia, Ilissia, Petralona, Koukaki an Kypseli, each wi its awn distinct history an characteristics. The Athens municipality forms the core an centre o Greater Athens an aw which consists o the Athens municipality an 34 mair municipalities, which are dividit in the fower regional units mentioned abuin. The municipalities o Greater Athens alang wi the municipalities athin Greater Piraeus (regional unit o Piraeus) form the Athens Urban Aurie, while the lairger metropolitan aurie includes several addeetional suburbs an touns surroondin the dense urban aurie o the Greek caipital. Athens haes several lairge sports clubs lik fitball clubs AEK Athens F.C., Panathinaikos F.C. an Panionios G.S.S, basketbaa club Maroussi B.C. an handbaw club Sony Athinaikos Athens. 1896 - The Simmer Olympic Gemmes teuk place in Athens. 2004 - The Simmer Olympic Gemmes teuk place in Athens. ↑ 1.0 1.1 1.2 1.3 1.4 "Απογραφή Πληθυσμού - Κατοικιών 2011. ΜΟΝΙΜΟΣ Πληθυσμός" (in Greek). Hellenic Statistical Authority. ↑ Wells, John C. (1990). Longman pronunciation dictionary. Harlow, England: Longman. p. 48. ISBN 0-582-05383-8. entry "Athens"
↑ CNN & Associated Press (16 January 1997). "Greece uncovers 'holy grail' of Greek archeology". CNN. Archived frae the oreeginal on 6 December 2007. Retrieved 28 March 2007. ↑ "City Mayors: World's richest cities by purchasing power". City Mayors. 2008. Archived frae the oreeginal on 6 May 2008. Retrieved 12 May 2008. ↑ "City Mayors: Cost of living – The world's most expensive cities". City Mayors. 2008. Archived frae the oreeginal on 24 December 2008. Retrieved 26 December 2008. ↑ "Twinnings of the city". City of Beirut. www.beirut.gov.lb. Retrieved 25 January 2008. ↑ "Twinning with Palestine". Twinning With Palestine. Retrieved 26 January 2008. ↑ "Chicago Sister Cities". City of Chicago. www.chicagosistercities.com. Retrieved 3 January 2007. ↑ "Los Angeles Sister Cities". City of Los Angeles. www.lacity.org. Retrieved 3 January 2007. ↑ "Gemellaggi". Comune di Napoli (in Italian). Retrieved 1 September 2008. ↑ "Nicosia:Twin Cities". Nicosia Municipality. www.nicosia.org.cy. Retrieved 25 January 2008. ↑ "International Cooperation: Sister Cities". Seoul Metropolitan Government. www.seoul.go.kr. Archived frae the oreeginal on 10 December 2007. Retrieved 26 January 2008. ↑ "Twinning Cities: International Relations" (PDF). Municipality of Tirana. www.tirana.gov.al. Retrieved 25 January 2008. ↑ "Protocol and International Affairs: Sister-City Agreements". District of Columbia. os.dc.gov. Retrieved 25 January 2008. ↑ "International Cooperation: Sister Cities: Athens". Yerevan Municipality. www.yerevan.am. Retrieved 26 January 2008.